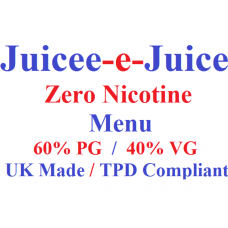 ﻿Pick 4 of our delicious Juicee-e-Juice Liquids from this menu for just £10! Select flavours from the drop down box! 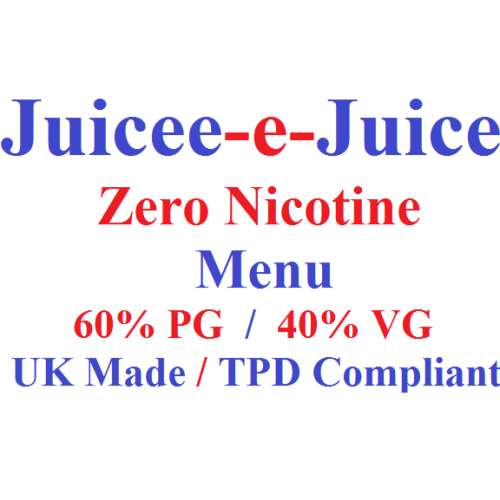 Our unique range of delicious Juicee-e-Juice e-liquids are all fully TPD compliant and are lovingly made in the UK. 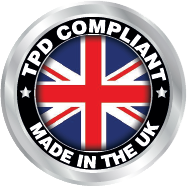 Here we create many of our own exclusive flavours, all diacetyl free and rigorously batch tested. We offer a huge choice of flavours and nicotine strengths. These e-Liquids are mouth to lung, 0mg nicotine, 60% PG / 40% PG: Select your quantity and flavours from boxes on the right!